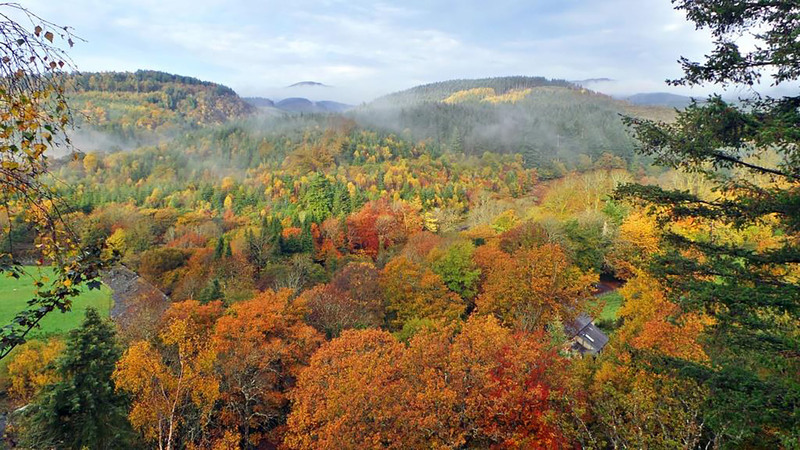 The theory and practice of managing woodlands in a way that benefits people and wildlife. 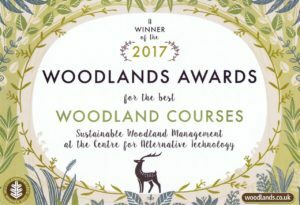 Winner of the Woodlands Awards Best Woodlands Course 2017, this highly practical five-day course gets you out into the woods learning the skills and techniques of sustainable woodland management. Fees: waged £650; low waged / concessions £600. Optional OCN accreditation: £90. Learn how to make the most of our natural resources on this highly practical course. 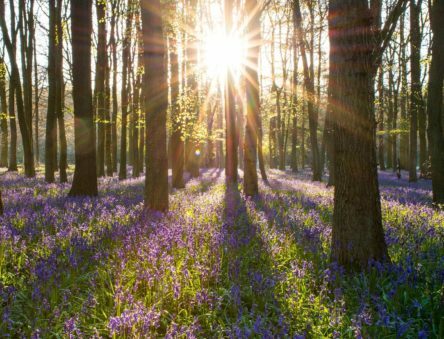 Gain a comprehensive overview of how to manage woodland sustainably, looking at biodiversity conservation and woodland management skills. This course covers both practical and theoretical aspects of managing a small wood, and you’ll be spending most of your time in CAT’s beautiful and sustainably managed woodland Coed Gwern. 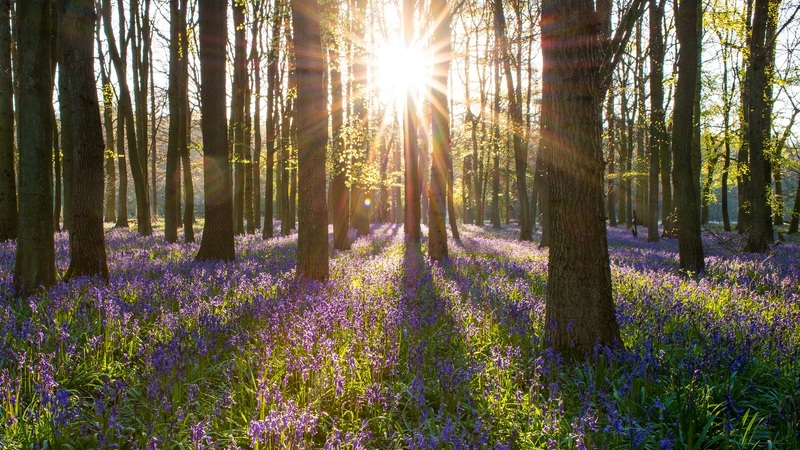 The importance of sustainability in woodland management. 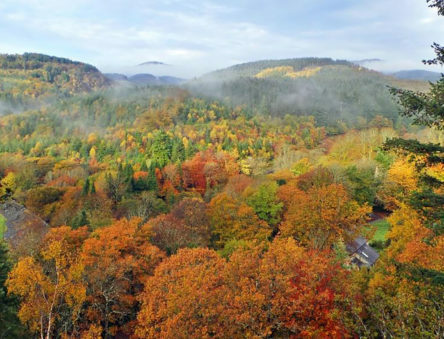 Techniques to identify different types of woodland, to assess and monitor wildlife, and to help promote biodiversity. How to process timber, including calculating timber sizes and volumes as well as using appropriate extraction, stacking, bundling, seasoning, cutting, splitting and conversion methods. Financial aspects, including assessing the value of woodlands and adding to this through woodland crafts and products. Specifically, we look at cleaving, weaving and turning, as well as charcoal, woodfuel and timber production. Legal issues, including woodland and wildlife protection laws, insurance, felling licences and management contracts. The value of local community support and the importance of community access and involvement in woodlands, focusing on woodland activities, links with local culture, and methods of raising awareness and involvement. Health and safety implications, including guidelines on undertaking risk assessments. This course is perfect for you if you are either currently managing or planning to manage woodland and wish to learn how to add value from a social, economic and ecological standpoint. By the end of the course you’ll have the foundations to confidently approach your own woodland management issues. This course includes the option to accredit your learning to Level 3 with the Open College Network if you complete the additional coursework. The main tutor for this course is Rob Goodsell. Rob has been working for CAT for eleven years. He is currently involved in managing four woodlands of differing natures using sustainable management principles, focusing on the relationship between conservation, resilience, human interaction and economic realities.